How do I create or register an EyeQue account? I did not receive my confirmation email, what can I do? How do I switch between user accounts on the myEyeQue app? How can I access my EyeQue account? Can I use my EyeQue account on another supported smartphone? I forgot my password! What should I do to retrieve it? Tapping on the Facebook or Google logos will require you to log into those services and allow EyeQue to access your email and name. Tapping on the register link will require you to enter an email address, your name and a password for the account. Once you have registered, you will be required to confirm your email to proceed with the activation of your account. 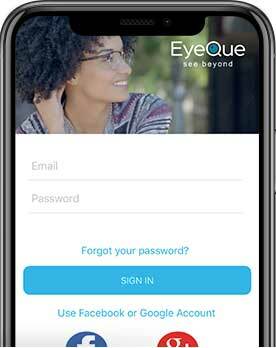 As with the EyeQue apps, if you choose to use the Facebook or Google options to register an account, you will need to log into those services and allow EyeQue access. You will need to confirm your account before you are able to log into the EyeQue apps as well. 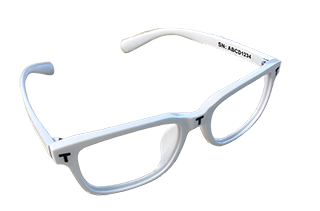 Can I still access my Eyeque vision test results and EyeGlass Numbers even if I stopped using the device and app?